Before there was Lisbeth Salander, before there was Stephanie Plum, there was V.I. WARSHAWSKI. To her parents, she's Victoria Iphigenia. To her friends, she's Vic. But to clients seeking her talents as a detective, she'sV.I. And her new case will lead her from her native Chicago... and into Kansas, on the trail of a vanished film student and a faded Hollywood star. 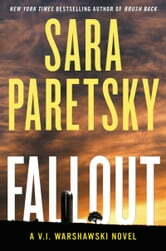 I've read all of Sara Paretsky's novels about V.I. Warshwski and liked them, but there was something about this one that I loved. Maybe because it is set outside of Chicago and familiar territory for her? Great read and so glad Vic is back! 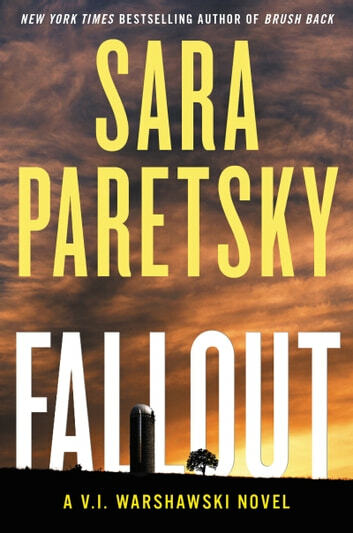 Sarah Paretsky is usually one of my favourite authors but I thought Fallout would never end and it was all I could do to keep awake. Paretsky is the master. Another intelligent, exciting and engaging read! Typical SP in another new environment. Interesting places, people, and situations which she makes plausible and scary, but the good guys win! Usual entertaining Warshawski plot. I am, however, getting very tired of her hockey playing niece who doesn't add a thing to the story and is totally annoying.